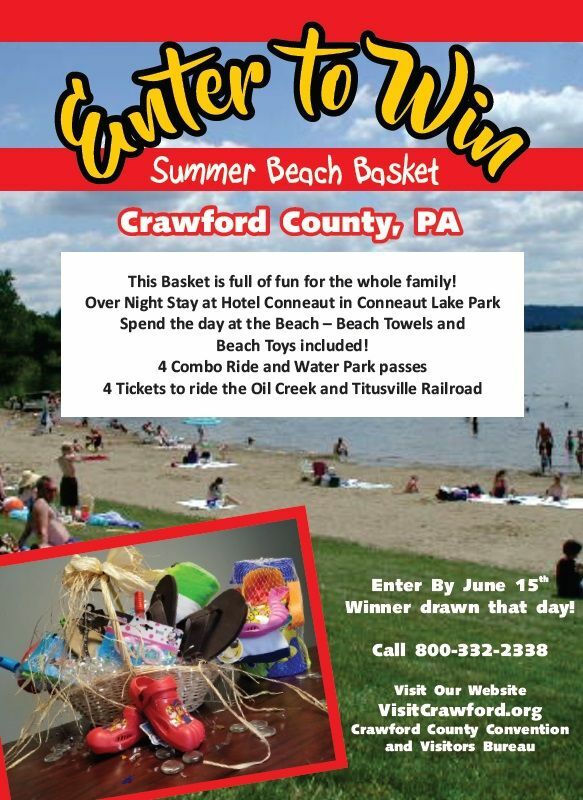 Enter to WIN a “Summer Beach Basket” for a family of 4! Enter by June 15th. The winner will be drawn on the 15th. 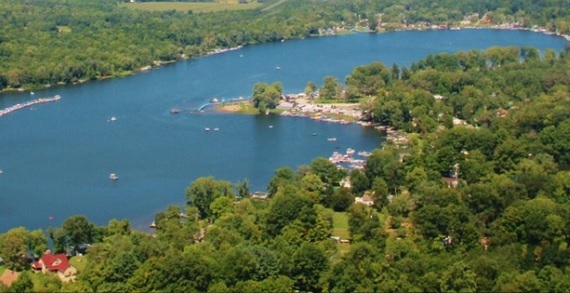 The basket includes an over night stay at Hotel Conneaut in Conneaut Lake Park, PA! Must make your reservations at Hotel the month of August. The summer goodies don't end there! Also win beach towels, beach ball, rafts, floaties, goggles, sandals, and a large bubble maker. Plus win a combo ride pass and water park for 4 AND tickets to ride the Oil Creek and Titusville Railroad in Titusville, PA. Call 800-332-2338 to find out more!